Continue your challenge and you could win up to $1,000,000! 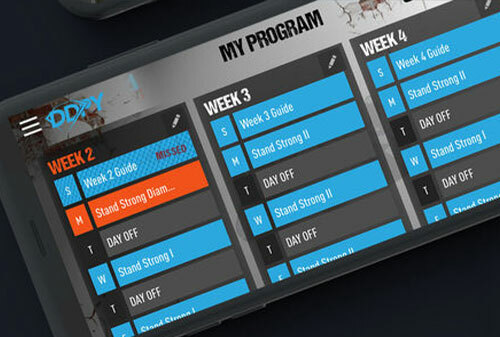 With DDPY's POSITIVELY UNSTOPPABLE CHALLENGE, you’ve engaged in a 16 week mission where you’ve set your own custom goals, and now you’re tracking your progress and improving your life. When your 16-week transformation is complete, tell us how you’ve done with words, photos and videos. If your inspirational story is chosen, you will receive complimentary travel accommodations to meet Diamond Dallas Page AND will have the chance to win $1,000,000. Improve Your Health. Increase Your Wealth. You got this! Please note that only US and Canada (excluding Quebec) Residents are eligible to enter the Positively Unstoppable Challenge. At the end of your 16 weeks, we want to hear about your journey! Write a short post (no more than 500 words) and tell us the what you were able to accomplish and how it has impacted your life. You can include a description of the challenges you have faced, the progress you have made, how you ultimately achieved your goal, and how the entire challenge has changed your life. No cutting corners. Make this exercise a full ‘workout’ and tell us the whole story! Any photos or videos submitted must include a clear date and timestamp to be considered. It’s up to you to continue to take ownership of your life, but following some of these simple tips will help keep you on track! Purchase Diamond Dallas Page’s new Book, POSTIVELY UNSTOPPABLE and use it as a source of inspiration throughout the challenge. Download the DDPY NOW App. Engage dozens of tiered, online training sessions and track your progress with the apps many built in tools. Use Dallas’ SMACKDOWN goal setting system to help you stay focused on achieving your goals. Take all of your before pics and document your process! The more you document the better your chances to be chosen as a finalist. Stay positive and determined. Real progress does not come overnight. Stick with it and start owning it! During the POSTIVELY UNSTOPPABLE CHALLENGE, check into the POSITIVELY UNSTOPPABLE PRIVATE FACEBOOK GROUP to get and give moral support from like-minded people reaching for goals of their own.